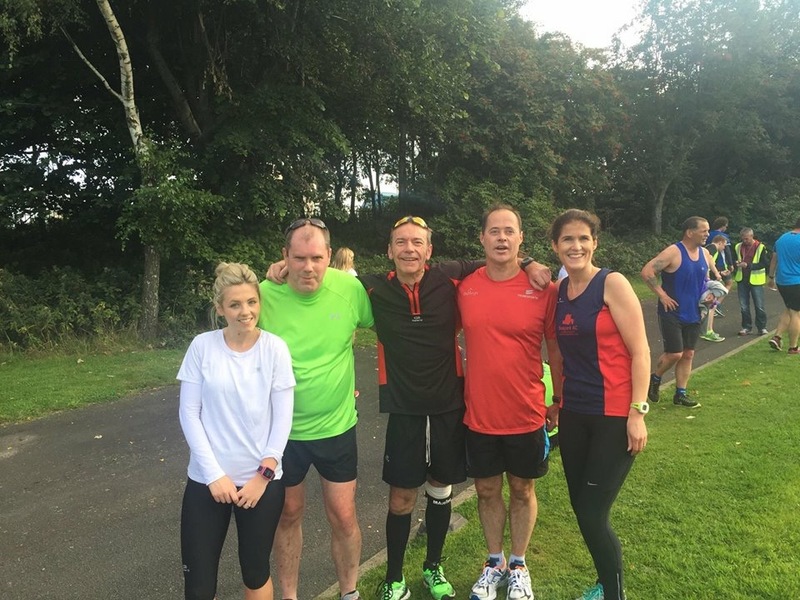 September was another good month for Seapark parkrun runners. Brendan Rice, Gareth Hamill, Colin McCrum, Neill Harper and Jonathon Bell all completed three home runs in September with Jonny getting a new PB on 26th with 22:16. 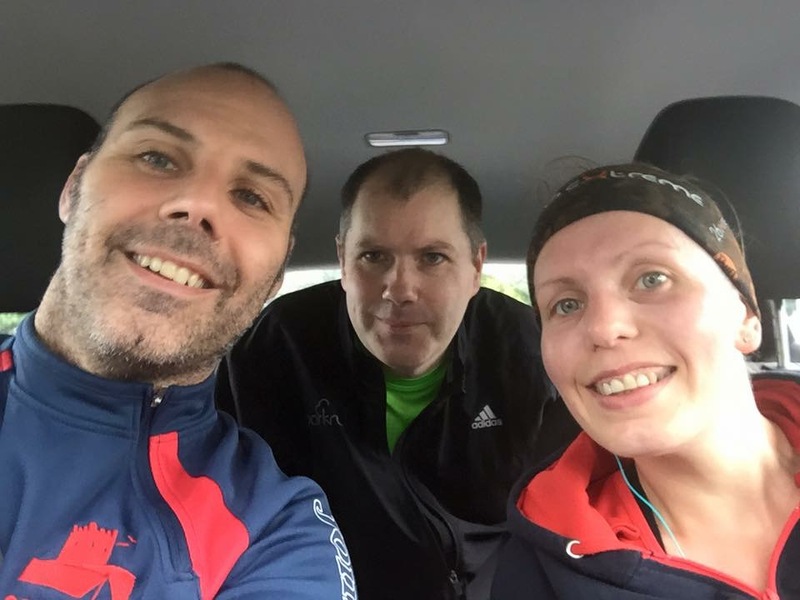 Bobbie Irvine, Charlie McCormick and Kate Delaney all ran twice at Carrickfergus. Kate got a PB on 19th in a time of 24:43. 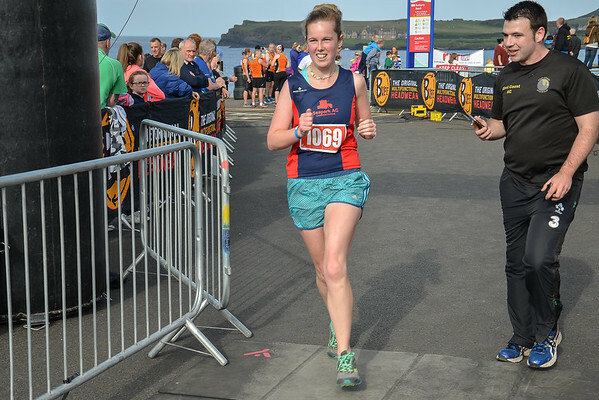 Allan Grant, Karen Poag, Andy Smyth, Robert Murray, Jonathan Beattie, Becki Tester and Alanah McCombe all ran once at Carrickfergus in September, with Becki getting a PB of 28:22 on 12th and Alanah getting a PB of 22:12 on 26th. 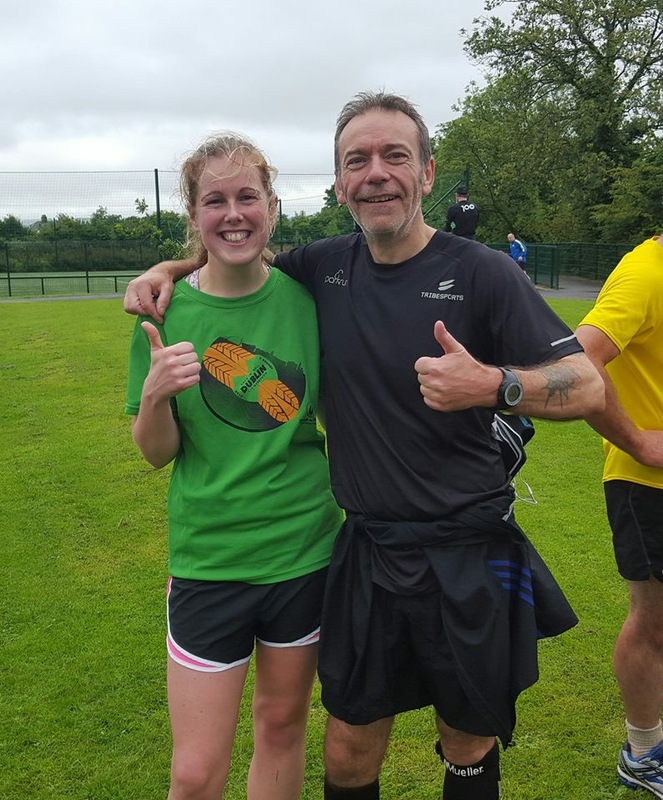 This month also saw the return of Chloe Anderson back to parkrun on 26th Sept and on the same day Caroline Salters completed her first ever Carrickfergus parkrun in a time of 22:13. 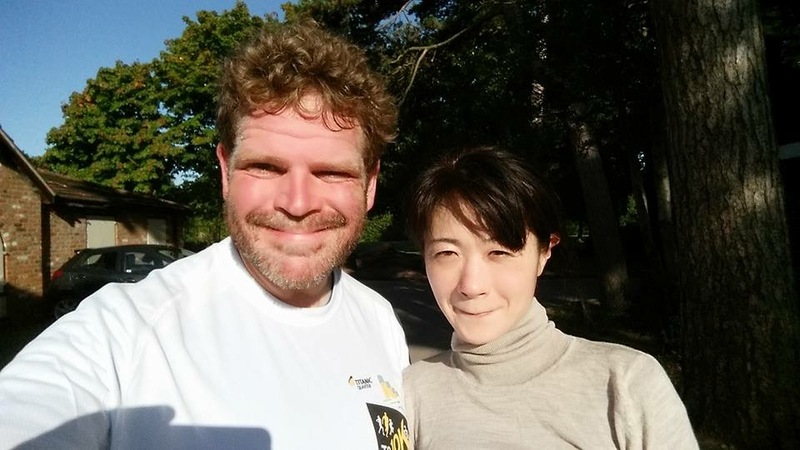 September also saw Yumi Aoki and Ross Gilmore complete their first Carrickfergus parkruns. The big news story at Carrickfergus for the month of September would surely have to be the wearing of the 100 shirt for the first time by Bobbie Irvine who on the same day (12th) came first in a new Carrickfergus PB time of 19:20. Hopefully by the time he gets his 250 shirt he will have reached his goal of sub 19:00. Will he still have the beard then? Time will tell. Also a new Seapark parkrun swearing competition started this month (thanks in part due to the Seapark 10K handicap finish line). This month’s winner is Charlie McCormick for his run on 19th. Please be careful around cameras in future. Most of them have a record function. 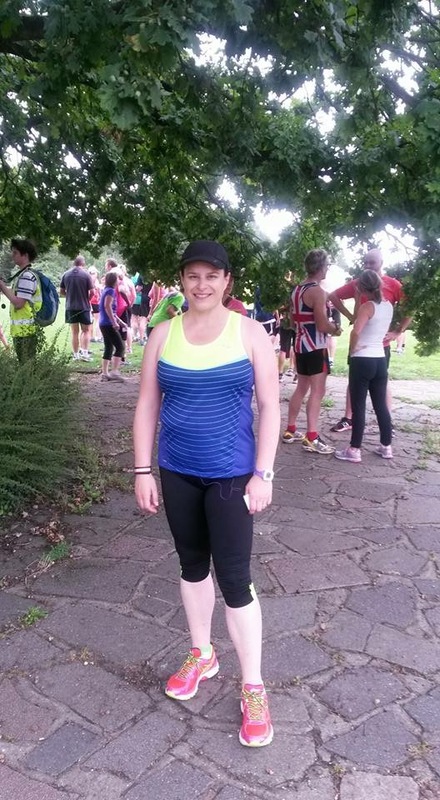 Larne was the parkrun of choice for Becki Tester on 5th September, whilst on the same day Karen McMaster visited Basildon, Gavin Irvine Hull and Bobbie Irvine attended Portobello in Edinburgh. 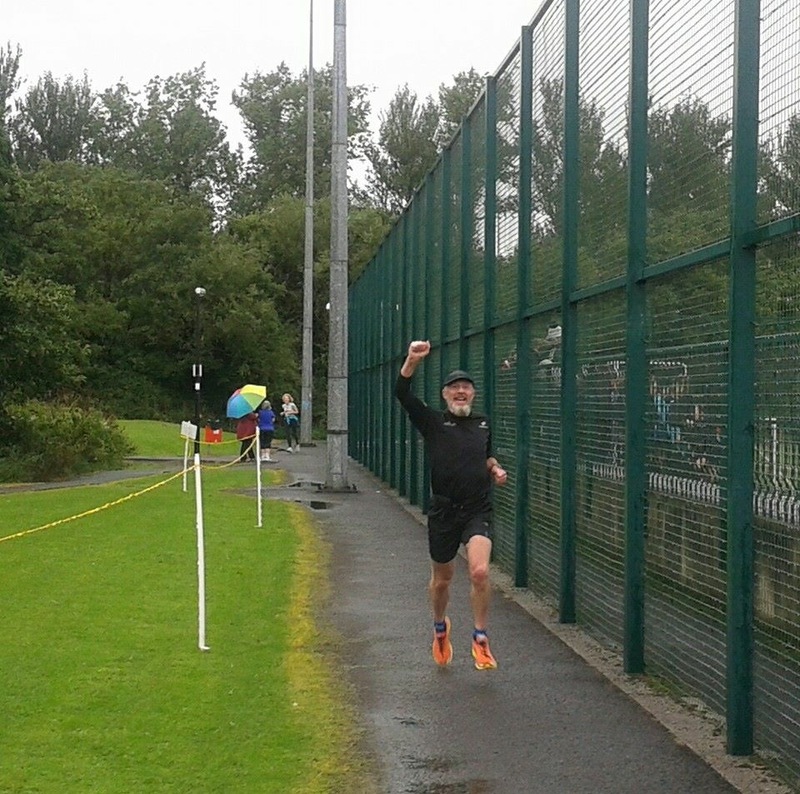 Colin McCrum and Robert Murray’s runemy status (running + frenemy, yes, I have just made that up) was put on hold on 5th September as they where both ‘saving their energy’ for the Laganside 10K the following day. Instead they paced Trevor Lamb (who should have been saving his energy for the Laganside 10K) at Victoria. Both guys forced Trevor into running an overall 5K PB of 25:00 (target time was 25:00 so good pacing guys). After getting his breath back Trevor soon discovered that Colin had declared that he will get him a sub 24:00 parkrun soon. Stay tuned. 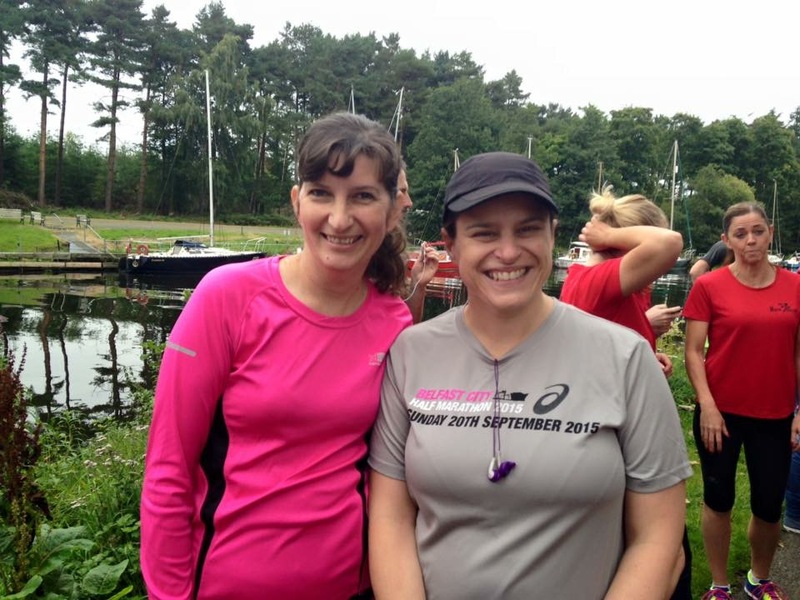 Victoria parkrun was also ran by Alanah McCombe and Caroline Salters on 5th Sept in Caroline’s first ever parkrun. She got herself on the table with a great time of 21:29. 12th Sept saw Trevor Lamb + Mark and Alison Welsh travel to Antrim with Mark getting a new Antrim parkrun PB of 21:15. Julie-Ann Mitchell attended Stormont on the same date. 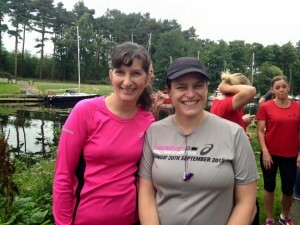 On 19th Sept Bobbie Irvine and Julie-Ann Mitchel where the only Seaparkers to do an away run; visiting Victoria parkrun. 26th Sept saw Gavin Irvine narrowly miss out on a new PB at Hull following his success in the Hull Marathon just two weeks earlier. On the same day Karen McMaster, Robert & Glenda Murray all went to Antrim parkrun. Whilst Jonny Bell went to Victoria for the first time and got himself a new all time parkrun PB of 21:26. 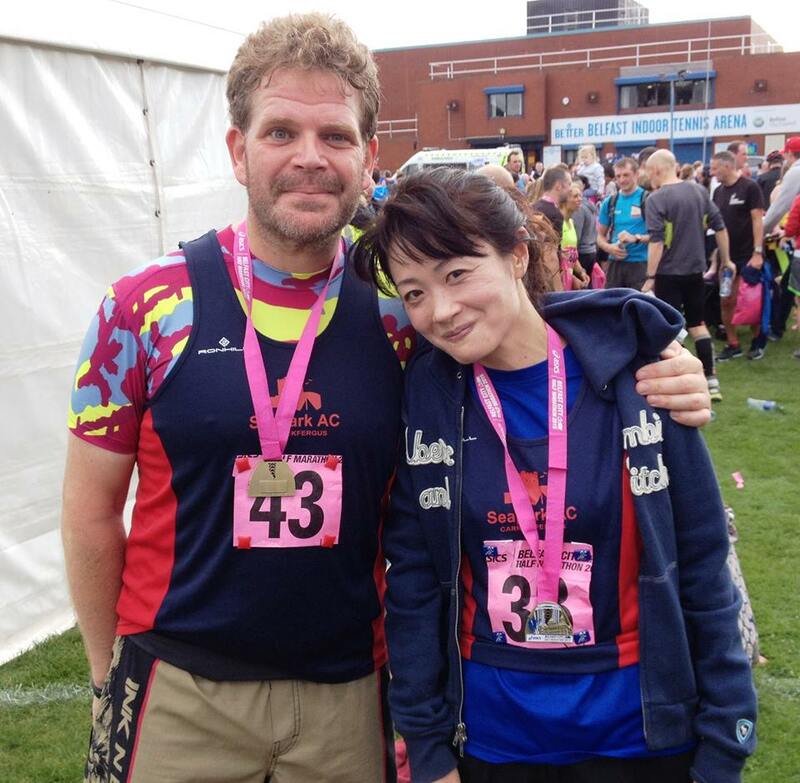 And finally, whilst on her travels from Japan, Yumi Aoki completed the Ellesmore Port parkrun along with Neill Harper. Please remember that there are still a few weeks left for Andy’s parkrun challenge. You still have time to go to Antrim, Carrickfergus and Victoria. Remember that you need to do all three + volunteer @ Carrickfergus at least once (there’s no upper limit people) to qualify. If you haven’t volunteered before then you should. Just try it, and you never know, you may just catch the October Seapark swearing competition winner on your camera. Iain Hunter travelled a long way to get unclean at the Muck It! 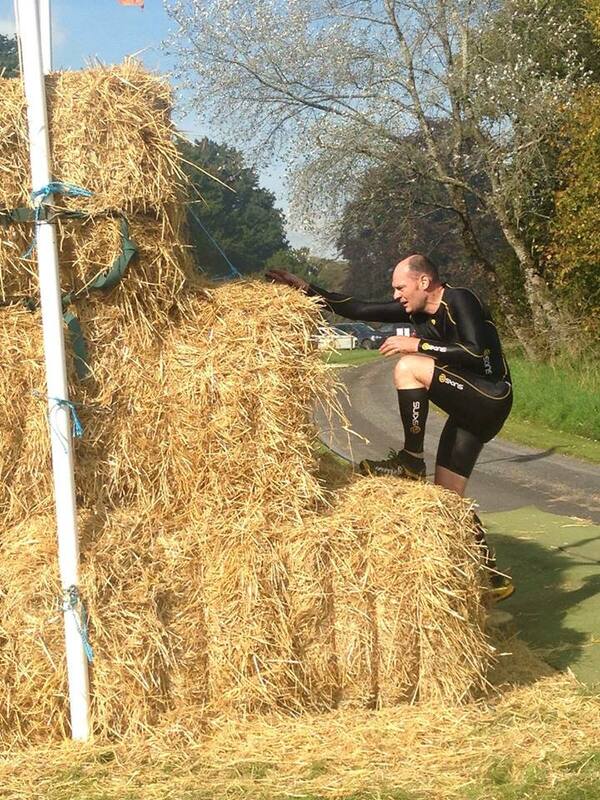 10k challenge near Clonmellon, Co. Westmeath. 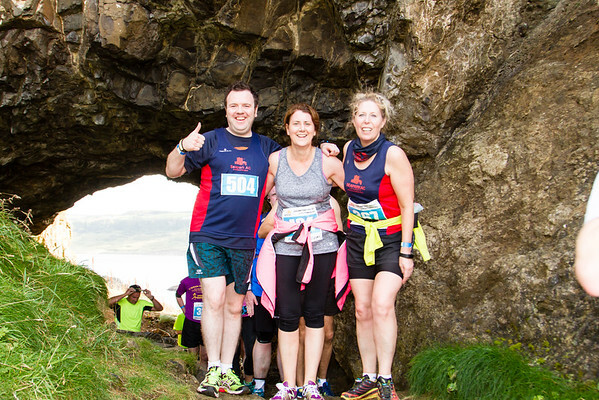 The race takes part in the beautiful grounds of Ballinlough Castle and has a mixture of ditches, ropes, slides, pits, canals, lakes, forests, and of course loads of MUCK! It describes itself as ‘serious fun for all’ ! Iain successfully navigated the mucky, obstacle filled course and was first home. The weekend weather continued fine to enable the Weatherhead family and the Rice family to take part in the Lurgan 10k and Fun Run. Brendan Rice was in good form obtaining a PB for his 10k in just over 42 mins with Clive close behind finishing in 43:07. 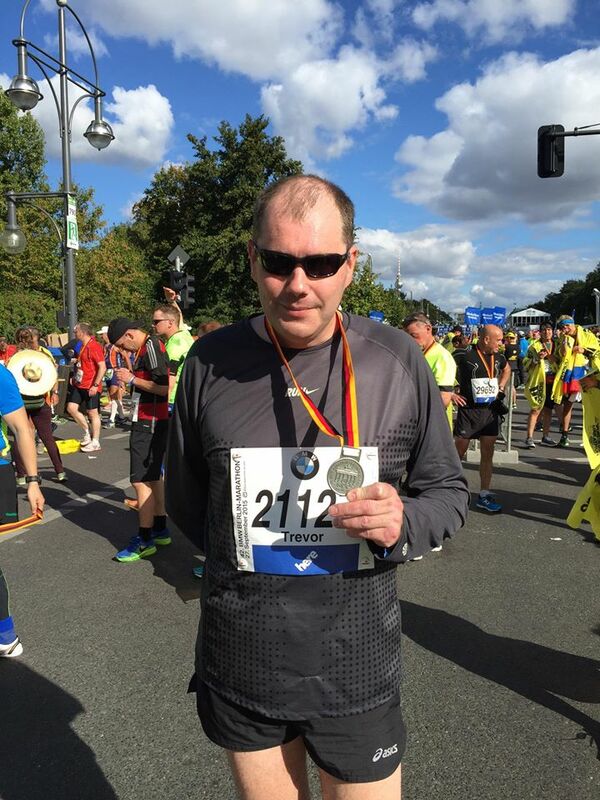 Trevor Lamb travelled to Berlin this weekend to take part in his 7th marathon. The trip was a huge success with Trevor achieving a PB of more than 11 mins coming home in a superb time of 4 hr 45 mins. In the marathon event Gillian Cordner finished strongly in a time of 4:21 earning herself 2nd place. It was a special half marathon for Phil Magill who was running his first trail half and with Karen Hanson doing her first half marathon. Phil finished first Seapark male in the event in a time of 3:05 along with Vivien Davidson . Nicola McKay, Thomas Dunlop and Becki Tester all completed the 10k offering welcome support to the half matahoners as they passed through Portmoon and taking advantage of the numerous photographic views along the way – not forgetting the yummy burgers at the finish line! 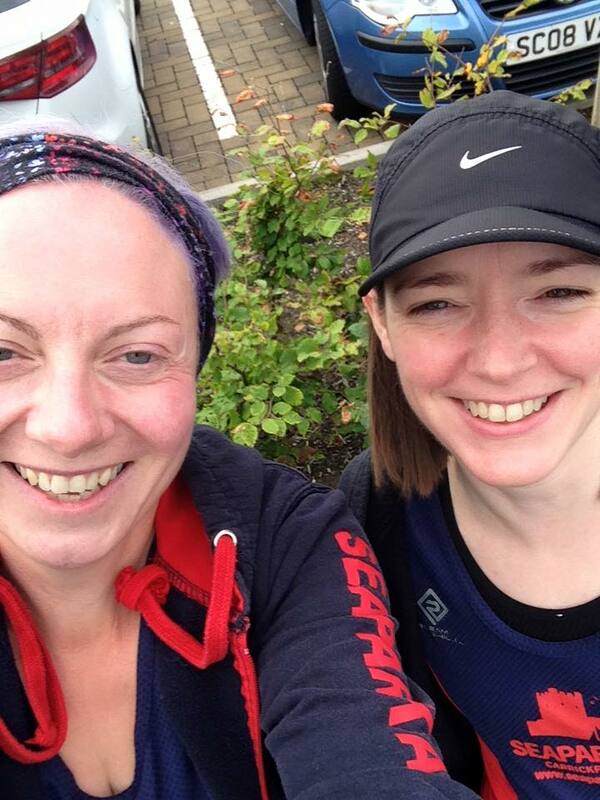 Karen Poag and Julie Ann Mitchell were amongst the hundreds of athletes taking part in the the annual Aurora Bangor 10k road race. 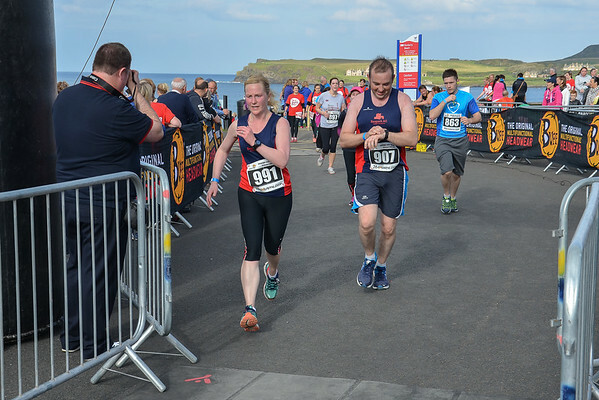 The perfect sunny weather was ideal for the course which takes in the atmospheric Town Centre and part of the picturesque North Down coastline. 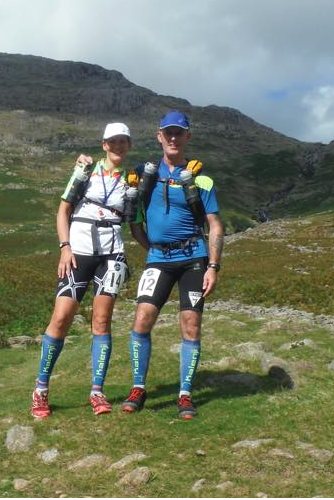 What a birthday treat for Gillian from Gary Connolly … Cumbria way ultra 73 miles, ullswater to Carlisle through the Lake District. 10,000 feet of ascent, 73 miles, self navigating. Gillian says that with the exception of MDS this was by far the hardest event she’s ever done….trudging through bogs, over mountains, rivers and fields in the dark….just fantastic!!!! 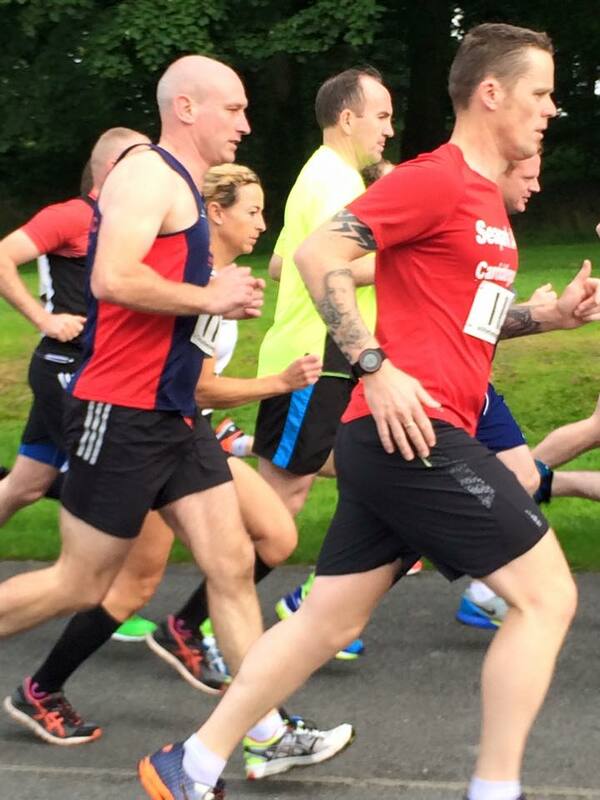 39 Athletes from Seapark took part in the 3rd Belfast Half Marathon which attracted a field of 3,500 runners. Many Seaparkers got PB’s on the new course. First lady home for Seapark was Elisoa Crawford in a time of 1:37:25 and Ian Cleland was first home for the men in a time of 1:25:04. One Seaparker Yumi Aoki travelled all the way from her home in Japan to take part along side her Seapark partner, Neill Harper. Gavin Irvine completed his second Marathon at The Hull Marathon on Sunday in a time of 4:24. Runners were treated to a fly-over by the Red Arrows. 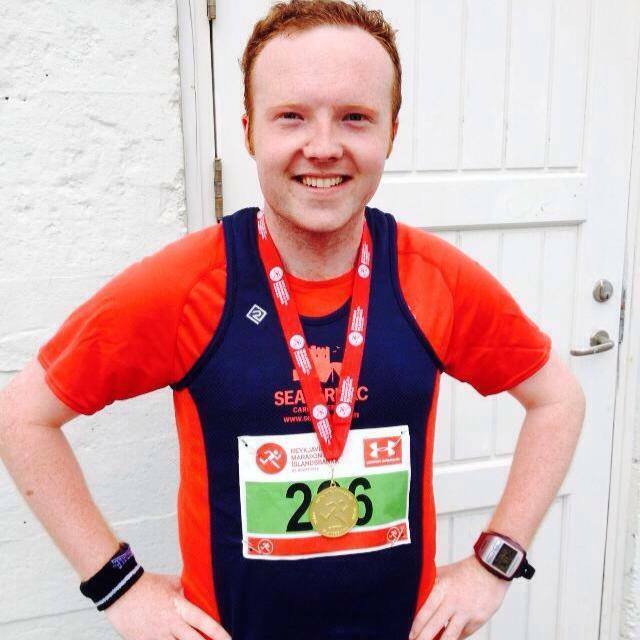 As well as posting a PB Gavin also raised funds for Save The Children. It’s the biggest half marathon in the world! 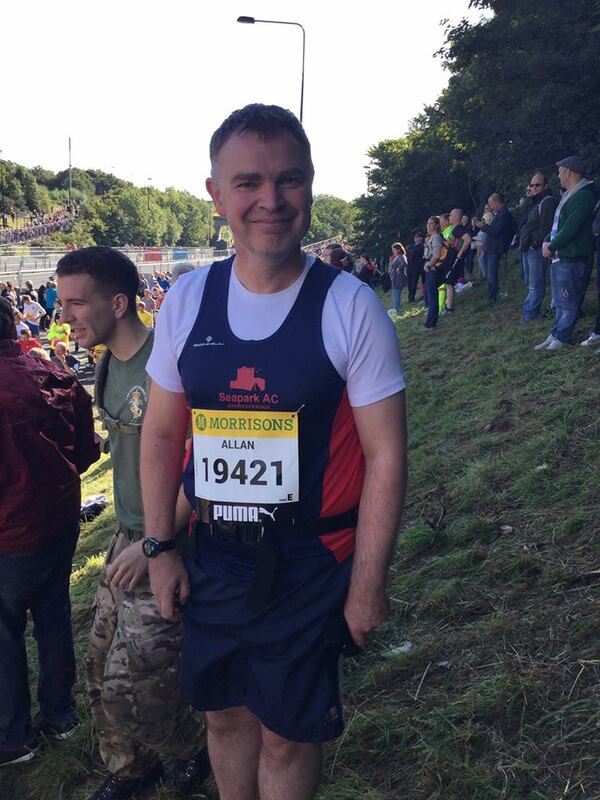 Allan Grant from Seapark travelled to Newcastle upon Tyne to take part in Sunday’s Great North Run alongside Mo Farrah and 57,000 others. Karen Waring was on hand to share her videos of the event showing hundreds of people still making their way to their pen after the race had already started. In fact Mo Farrah had finished before some people got over the starting mat! 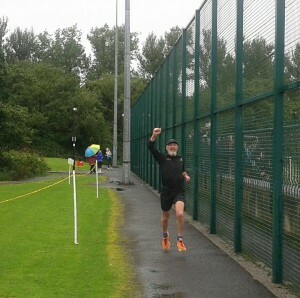 Allan Grant had a fab time finishing in 2:02.